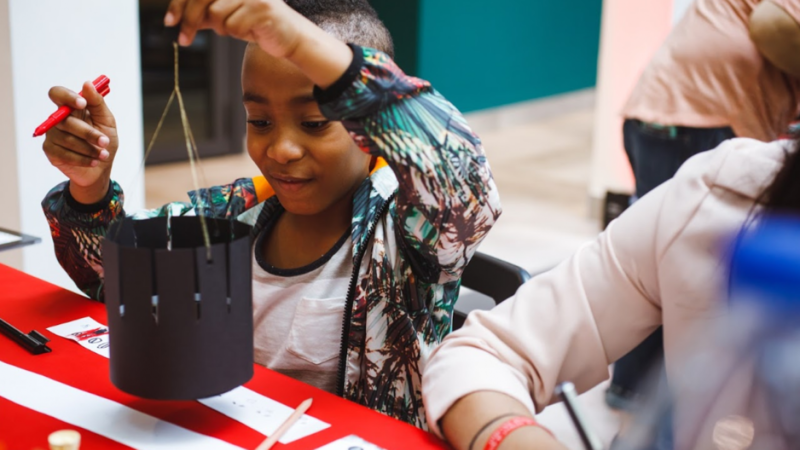 WHAT: Into Film and Flatpack Festival, present a Colour Box takeover of mac Birmingham featuring activities and screenings for young audiences. Suitable for children aged 5-11 years. WHEN: Friday 3rd May [9.30am-12pm or 12.15pm - 2.45pm]. Bookers can attend the morning or the afternoon session with their classes. Please note, there is only space for two classes in the morning and two classes in the afternoon session. Discover the contents of Colour Box 2019 as Flatpack Festival present a schools activity day of film, fun and adventure. EXPLORERS ASSEMBLE! We are thrilled to welcome Ewan Sinclair and Bal Cooke's other worldly Soundplay Dome. A multi sensory audio-visual pop up space, designed with accessibility and inclusivity in mind. The Soundplay Dome is creative playground where sound, animation and interactive technology collide. Customise explorer flags and create your own binoculars with the Colour Box Craft Crew. Fortune favours the brave in this collection of animated shorts from around the world. Overcoming fears, discovering wonderful lands far from home and climbing mountains to chase the clouds away! A colourful world awaits, if we dare to step outside the box! Look out for our Colour Box Explorer Reporter and Camera Crew who will be conducting interviews throughout the day.